This book moved me so deeply it’s unreal; I love the way Michael Morpurgo made this book tell this story. I am reading this book in school and I absouletly love it! so sad but so heart warming. the young love was so cute. I really enjoyed Private Peaceful. Is is one of, or even my favourite Michael Morpurgo to date. 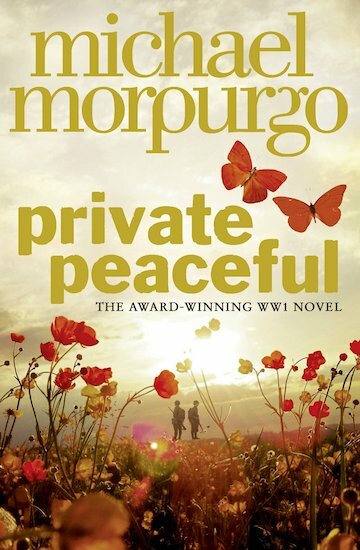 I really love the way Michael has written Private Peaceful- the way that history is merged with fiction and a love story. The most captivating thing about the story is that Private Peaceful was a real person, not only a real person but somebody who fought and died representing our country. My favourite scene in Private Peaceful has to be when the German gassed the British Trench. Not only did it illustrate the horrors that can occur in the Trenches but it also illustrates the fact that there isnt really a good side or a bad side; every soldier wanted peace in Europe and were mainly innocent people. This is shown when a German soldier is inches away from killing Tommo but lets him go. At this point I was on the edge of my seat. My favourite character in Private Peaceful has to be Charlie. Charlie is a kind, innocent and caring person; hes the sort of person everybody would want as an older brother. At school if Tommo was being bullied Charlie protected him. In one scene Charlie starts (and ends) a fight with a boy (name?) who was making fun of Big Joe- this scene shows how close the Peaceful Family were. It was not just in his school years that Charlie protected Tommo. Close to the end of the story Tommo is seriously wounded on their mission to capture a German Trench. Sergeant `Horrible` Hanley (as he was known) ordered Charlie to leave his brother their (to die) and carry on with the mission. Fortunately, Charlie stayed with his brother and dragged him back to their trenches. Charlie had such a close bond with Tommo that he just wouldn’t let him die, but unfortunately for Charlie it meant that he would die because he was given a court martial for not following the sergeants orders. Charlie was shot for cowardice without a fair trial. Sadly, the injustice that occurs in this bit was not fictional but fact! During World War One 290 (British) soldiers died because of what was thought to be cowardice but later was found to be shell shock and tiredness. I`d like to think that Private Peaceful was the trigger for the Queen to give all of the soldiers shot for cowardice a posthumous pardon. I have a lot of sympathy for Tommo because to grow up so close to Charlie and to feel so secure around him, when he died Tommo must have felt lost, depressed and probably wanted to give up. Despite this he still had to fight in the Battle of the Somme. The beauty of this book is that the story doesn’t finish as soon as you close the last page; the story continues in your head- did Tommo survive World War One? How did the Peaceful Family react? Did Tommo become a father to Little Tommo, a father that Little Tommo would never grow up with and most importantly did the love story end well for Tommo- did Molly and Tommo live happily ever after just like Tommo visioned when he first met her? Although there is one bad bit of the book. 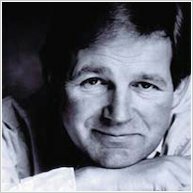 Michael Morpurgo left us crying! I rate Private Peaceful 10/10, a great book that leaves us sitting on the edge of the seat (with a box of tissues!) I would reccomend this book to anybody! Whether its an avid reader, a history bof, an action-seeker or a reader in search of a sad story of War, Love, Family and Tragedy this book would thrill everybody from the ages of 9-99. Superb! 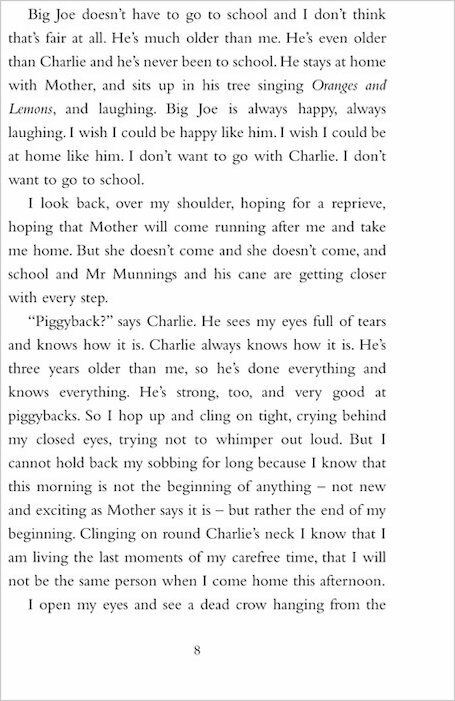 The first book I cried in, I read it at the same time as my grandfather, Charlie, we both cried and cried. This might be a bit harsh for younger reader. A great book, with a sad ending though. I’d recommend to Michael Morpurgo fans aged 10+. This was a truly wonderful book. It is about a soldier called Thomas Peaceful and his Brother. It is set in the First World War and portrays what it must have been like to be in The war – having to suffer friends, Siblings, relatives and teammates being killed or injured; Having to suffer the terror of fighting in the battlefields. The ending was very sad. I recommend this book for ages 9- 12.
this is a really sad book but it is worth a read. Really liked it especially as I love war stories. very sad!